IndyCar’s struggling Indy Lights Series is about to get a new direction, The Indianapolis Star has learned, and it will come from Dan Andersen. Dan Andersen is the Florida-based entrepreneur who founded the USF2000 series, the first step in IndyCar’s Mazda Road to Indy development program. Last year, Andersen’s promotion company bought the second step in IndyCar’s ladder system, now known as the Pro Mazda Series. Indy Lights is next. To what extent IndyCar’s parent company has given Dan Andersen control of Indy Lights isn’t clear — an Indianapolis Motor Speedway board meeting is being held today — but he will eventually own it, and his involvement can’t come soon enough. Indy Lights had only eight car-and-driver combinations at last week’s race in Milwaukee, and no more than nine entries will be at Iowa Speedway for Saturday night’s race. Dan Andersen understands the problem: There aren’t enough teams (currently only four) and the price to participate —in excess of $700,000 — is high. Dan Andersen has experience lowering costs. The increase in car count in USF2000, a series he reacquired for the 2010 season, is tied to engines that can last two to three years. In his short tenure leading Pro Mazda, engines no longer have to be rebuilt four times per season at a cost of $15,000 per rebuild. A single engine can last all season, a $45,000 savings. That isn’t the only reduction. Previously, Dan Andersen said teams were committed to buying 75 sets of tires per season. With a change in manufacturer (to Cooper), teams now need only about 40 sets. 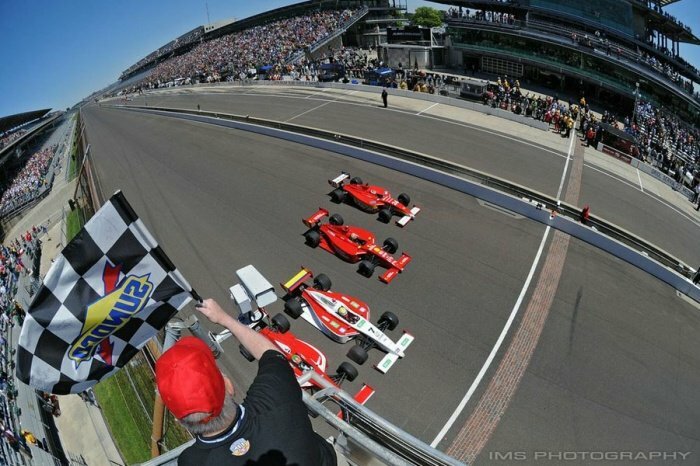 A similar change is in store for Indy Lights. Dan Andersen also eliminated one of Pro Mazda’s most expensive events — the weeklong Petit Le Mans at Road Atlanta — and replaced the Iowa Speedway race, an oval that can produce significant crash damage. Participants have been attracted to the Mid-Ohio Sports Car Course that Andersen added as a doubleheader. Andersen believes IndyCar’s ladder system needs to teach oval-track racing, but it doesn’t have to be in mass quantities both from an expense perspective and for the peace of mind of the parents of young racers in the series. Ideally, Dan Andersen wants one oval race in USF2000, two in Pro Mazda and three in Indy Lights. Formal confirmation of Andersen’s acquisition is expected at IndyCar’s Toronto weekend (July 12-14) since all of the series will be participating there. It’s believed IndyCar will continue to subsidize Indy Lights as the transition period continues. “(The series) will get as much attention as it needs,” said Derrick Walker, IndyCar’s president of competition and operations. The sanctioning body also will commit to an incentive program to get its IndyCar teams participating in Indy Lights. Currently, only Schmidt Peterson Motorsports and Andretti Autosport field cars in Indy Lights. The irony of Indy Lights’ recent struggles is that several drivers have made it to IndyCar from there, including last year’s Indy Lights champion, Tristan Vautier, who once drove for Dan Andersen in Star Mazda. Indianapolis 500 runner-up Carlos Munoz is the current Indy Lights points leader.